Louis XV in his Carriage. 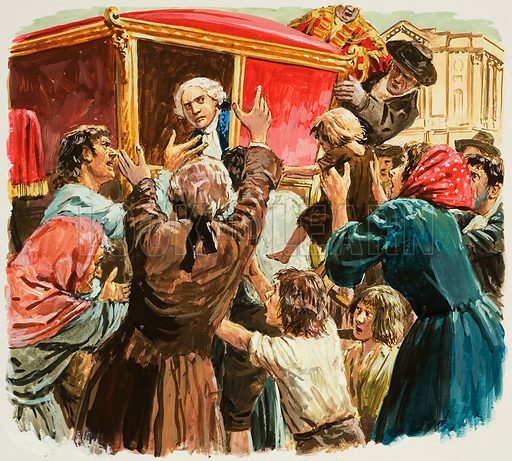 At least when the people crowded round his carriage crying "Bread, Bread!" the shaken king went home and reduced the number of his palace servants. Original artwork for illustration on p10 of Look and Learn issue no 675 (21 December 1974). Lent for scanning by The Gallery of Illustration. Available worldwide for immediate download up to 4,214 x 3,797 pixels.